Two thousand fourteen is a delicious midweight vintage with alluring fruit, juicy supporting acidity, expressive terroir character, supple tannins and considerable early appeal. Best of all, the wines display an attractive natural balance and elegance, and should offer at least medium-term ageability. It’s a more consistent vintage in quality than 2013, even if, for this taster at least, the high points in 2013 are more compelling (I will publish a separate report on the 2013s in the coming weeks). 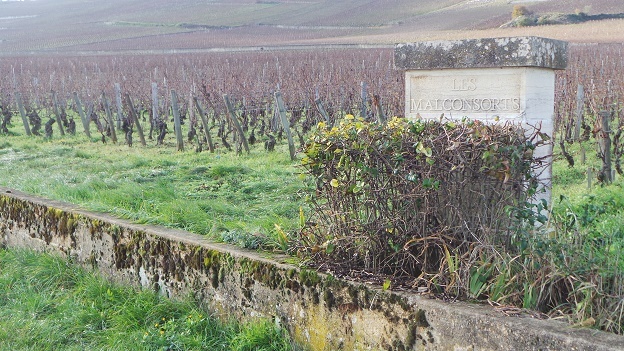 If there’s an Achilles’ heel to the 2014 vintage, it is the generous crop levels on the Côte de Nuits: some wines are charming and appetizing but lack the intensity for greatness. And, of course, the Côte de Beaune, hit hard by hail in late June, is much more of a mixed bag, but here there are some very concentrated wines that merit buying and cellaring. Following an unusually warm, dry winter, the flowering in 2014 was very early and mostly successful, beginning in late May, with even the latest-flowering Pinot vines finishing by around June 12. Some of the first vines to flower were affected by windy conditions, which caused some millerandage (shot berries, or hens and chicks), and a few growers reported coulure (grape shatter). But after the favorable start came a widely destructive hailstorm on June 28, which was most damaging on the Côte de Beaune (especially in Beaune, Pommard and Volnay) but also had an impact as far north as Vosne-Romanée and Chambolle-Musigny. Another hailstorm on July 25 caused some damage farther north, especially in Marsannay. Following the hailstorm, July and most of August brought mediocre weather, including recurrent rain and significantly fewer sunshine hours than average, so that the ripening process slowed dramatically. Some growers who thinned their vines after the hail to prevent against rot from the continuing showers saw their fruit affected by a sharp heat spike in mid-July. While most of the hail-affected grapes fell off the vines in the weeks after the storm, damage to the leaves delayed ripening in many parts of the Côte de Beaune. In some spots, the grape skins were swelled by rain, leaving them more vulnerable to botrytis later on. This year many vineyards—as well as other fruit trees, particularly cherries—were affected by an outbreak of Drosophila suzukii (vinegar flies, which are associated with acid rot in the grapes). Where red grape skins were not sufficiently thick, the flies were able to penetrate the berries to lay their larvae, and acetic acid was often the result. The Drosophila suzukii were much more likely to be found in vineyards located near orchards, houses, walls and gardens, in flatter, more humid sites and in vineyards protected from wind. (These flies, incidentally, are primarily attracted to red fruits and thus were a not an issue for Chardonnay in Burgundy.) Grapes with thinner skins were more vulnerable to the flies; the most conscientious growers went into their vineyards in late August or early September to eliminate damaged fruit, with most of them maintaining that problem areas were easy to find as the afflicted vineyards smelled strongly of vinegar. Growers also carried out a strict selection in the winery to eliminate grapes beset by acid rot, but that was a little late in the process as the bad grapes could easily affect the good ones. Happily, the weather took a miraculous turn for the better at the end of August, and the next month brought a mostly drier northeast breeze and warm weather, with the nights cool enough to allow the grapes to retain healthy levels of acidity. In contrast to the two previous months, September enjoyed significantly more sunshine hours than normal. Grape sugars began to move higher again as the ripening process picked up momentum. The majority of the growers I visited this fall on two tours in November and December began harvesting between September 13 and 16, with some starting a day or two earlier and others up to several days later. Most reported little or no problem with gray rot, which was a pleasant surprise as the summer had been so damp. Some growers may have started harvesting short of full ripeness owing to their qualms about acid rot or impending gray rot but grape sugars were normally in the range of 12% to 12.8% and chaptalization was rarely much more than half a degree. Yields tended to be average to a bit higher than average on the Côte de Nuits but much lower on the Côte de Beaune, and microscopic in the vineyards hit hardest by hail. Total acidity levels in the wines were average to slightly above average; malic acidity was lower than it had been in 2013 but considerably higher than in the hot, early 2015 season. Most of the producers I visited this fall reported doing careful extraction, often cutting back on ­pigeages (punching down of the cap during fermentation) in favor of remontages (pumping over). They were afraid of getting harsh tannins from the grape skins and, more importantly, from the seeds, which were not always fully ripe. Some cut back on the use of whole clusters during fermentation because they were not totally confident about the ripeness of the stems and feared the introduction of excessively herbal elements. On the other hand, judicious use of stems could add complexity as well as an element of energy to the wines. Most growers reported that color came easily in 2014, even where extraction was gentle. Still, many chaptalized lightly to extend their fermentations in search of a bit more glycerol in their wines. In many cellars the malos finished on the early side but in others they lasted until late spring or early summer. A few growers admitted that they found volatile acidity in some of their lots and sold them off, but most said that their VA levels were normal, with no trace of acid rot from the flies. By most accounts, the action of the yeasts during the fermentation process essentially consumes the acid rot anyway, so the growers are confident that wines that show normal levels of volatile acidity after vinification will be stable in bottle. In brief, the 2014s are succulent and easy to drink. On the Côte de Nuits, 2014 is a vintage of moderately fleshy, ripe wines with lovely transparency to terroir. Many wines display the high-pitched floral and mineral aromas that I crave in my Burgundies, although the colder 2013s may hold out even more appeal for those who love piquant treble notes of blood orange, cranberry, pomegranate and white pepper. The 2014s generally show more red fruits than black, although there are numerous exceptions to this rule. Tannins are mostly fine-grained and ripe. Two thousand fourteen is a vintage mainly destined for medium-term drinking (say, within 5 to 10 years after the vintage for village wines, 7 to 14 for premier crus and 10 to 20 for grand crus) but the most concentrated and best-balanced wines may surprise with their longevity. These wines are rarely austere in the early going and a large percentage of them should give great pleasure in their youth. At this point I’d venture that the wines are unlikely to shut down hard as the 2012s have. Some growers believe that on the Côte de Nuits the vintage favored Vosne-Romanée and Chambolle-Musigny. In these villages vine yields were moderated by minor hail losses (generally in the range of 10% to 25%), which could mimic the effect of a natural green harvest. 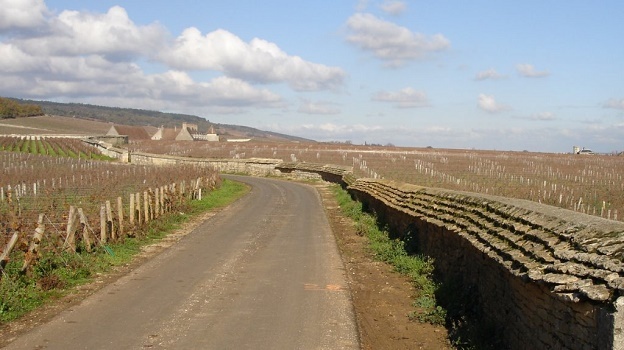 Insiders who favor these two villages said that crop levels frequently went a little too high in Gevrey-Chambertin. Others I spoke with indicated a preference for the wines of Gevrey, owing to generally lower precipitation totals during the summer and fuller ripeness of tannins. I would not make village-by-village generalizations based on the wines I’ve tasted to date, but I did find a lot of outperformers in Charmes-Chambertin and Bonnes-Mares, while Clos Vougeot seemed more variable in quality than usual, with some wines lacking in fruit expression or finishing with dry-edged tannins. 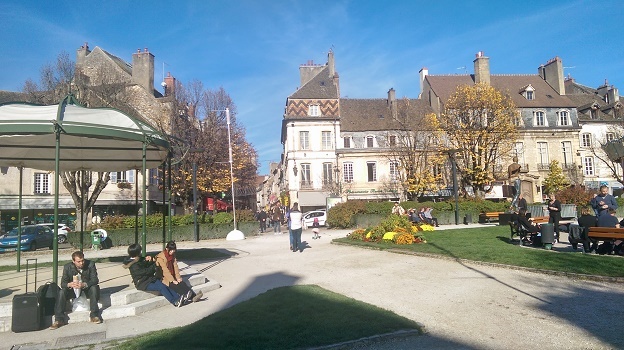 The wines from the Côte de Beaune rarely show the class or aromatic lift of the better examples from the Côte de Nuits, and many convey an impression of irregular ripeness. Some betray tough tannins from hail damage—even though most growers maintain that the hail came early enough in the season not to cause any obvious off tastes. 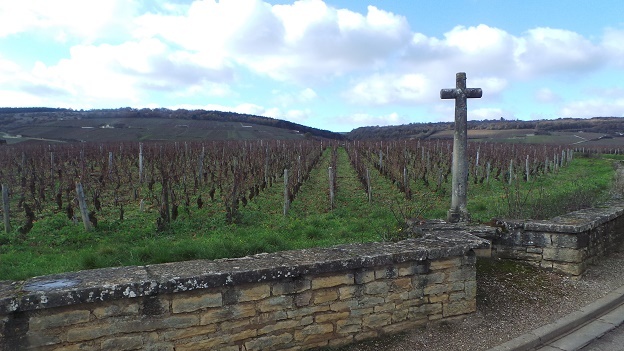 Still, the best examples from the Côte de Beaune, including some wines made from tiny crop levels, are more concentrated than those from the Côte de Nuits and may well require more patience (the same can be said about 2013). When favorable weather returned at the end of August, vines carrying precious little fruit could get ripe in a hurry—and sometimes even a bit chocolatey. I found a number of standouts from the village of Volnay. The crisis in Burgundy today is one of quantity, not quality. There’s simply not enough red Burgundy to satisfy the world’s thirst, and there is no immediate help on the horizon. The most obvious cause of low yields the past few years has been the damaging hailstorms in 2012, 2013 and 2014, which have repeatedly decimated the Côte de Beaune but have also reduced the size of the crop in some villages of the Côte de Nuits. And because hailstorms can cause damage to the canes that will be kept during pruning for the following vintage, some particularly hard-hit vineyards on the Côte de Beaune will be struggling to return to health for at least a few years. Climate change has not only resulted in more violent storms and extreme weather in general but has also had an impact on the shape of the growing season. In some recent years, spring has come freakishly early, while the flowering in 2013 was the latest in decades. Some recent summers have been very hot and dry, with an unfavorable distribution of rainfall, so the vines have been affected by sunburn and drought stress. Unusually mild winters the past couple of years have created the conditions for a host of insect pests and other vine maladies. 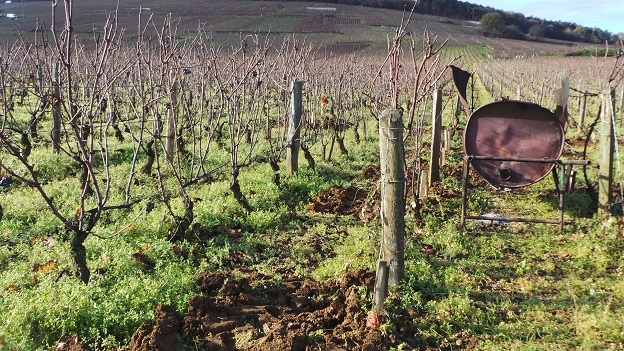 Even during my time in Burgundy in December the weather remained unusually mild for the season, and many growers were longing for at least one extended spell of frigid temperatures this winter to put the vines into deep sleep and kill the bugs in the soil. Climate change is just one influence on crop levels. Declining production is another. After World War II, France took much of its excess supply of potassium that had gone into bomb production and used it to fertilize its fields for farming and grape-growing. This had the effect of increasing yields, which was a positive outcome after the war. Meanwhile, excessive use of chemical pesticides had the effect of shrinking the diversity of microbiology in the soil and weakening the resistance of the vines to disease pressures. Yields began coming down in the 1990s during a period of transition to more natural viticulture. The advent of organic and biodynamic farming and the virtual elimination of chemical pesticides have been huge pluses for the life of the soil, but the vines need time to adapt to the changes. There’s more competition among vines for nutrients in low-vigor organic vineyards, and the movement away from the use of herbicides and towards plowing of the soil has also reduced yields because plowing rips up the surface roots. Some growers estimate that in the first two or three years after a grower abandons herbicides, up to 20% of his vines will die or be seriously weakened as a result of plowing. The best growers, those who wouldn’t vinify grapes they wouldn’t want to eat, are likely to thin their clusters and remove the less-ripe grapes shortly after the ­veraison or do additional passes through the vines to eliminate less-than-perfect fruit (as well as to aerate their clusters in order to forestall rot and to facilitate ripening). Careful elimination of rotten, overripe or underripe fruit at harvest-time, either in the vines or on increasingly sophisticated sorting tables, further reduces production. 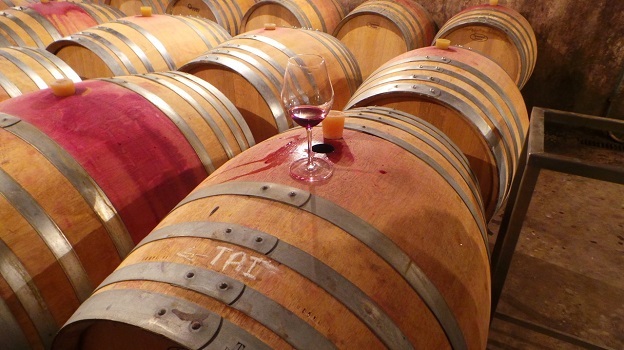 Growers know that they must make clean, concentrated wine to get strong reviews and higher prices, and rising prices in turn have provided the vignerons with the financial wherewithal to practice labor-intensive techniques and further limit yields. Yet perhaps the single most important cause of declining yields is simply the high average age of vines in Burgundy. Many of the old vines are virused or vulnerable to various other vine maladies and thus are producing less fruit with each passing year. For most small growers, though, the financial burden of replanting old parcels is prohibitive. Today, both the prices of wine and vineyard land are at record levels, and the stock of wine in producers’ cellars has fallen virtually to zero. It’s a serious economic challenge for a grower to tear out and replant a plot of vines because for a good decade there will be no production from that parcel (including the minimum of four or five years that the soil should be allowed to lie fallow). In fact, the lack of production can last much longer than this, as the best estates do not use young-vines fruit in their top cru bottlings for at least seven or eight years, and sometimes much longer. And, of course, those estates that have suffered severe financial hardship in recent years from not having enough wine to sell are even less likely to undertake significant replanting programs. Today, more and more grape-growers simply replace dead or unproductive vines rather than replanting entire plots. A new plant still generally needs seven or eight years to produce adequately, because it must compete with the older vines around it, and a percentage of these replaced vines fails completely. At best, replacing missing plants (referred to as repiquage) is a stopgap measure. It’s only the replanting of entire parcels that will provide the next generation with the ability to get consistent crop levels over a period of decades, and only the largest and wealthiest properties are in a position to adopt a longer-term perspective. Bottom line: Short of a worldwide depression, don’t expect Burgundy prices to come down any time soon. Even if prices have more or less stabilized after most producers hiked prices for their 2012s, the small and already much-hyped 2015 crop will almost certainly be yet more expensive.